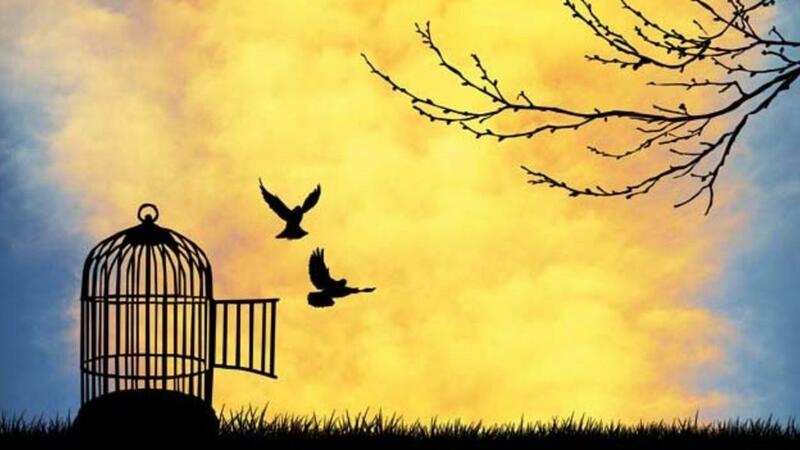 What does freedom really look like? I scoffed and rolled my eyes. The only way that would ever happen in my life would be if all the planets and stars aligned. First, we’d need to book caregivers to cover each day we were away, and that means 24 hours per day, along with a backup plan if one of them couldn’t keep their shift or we got delayed coming home. Second, we’d need Ben to be healthy leading up to our departure. No seizures. No strange behaviour. Obviously, it would be impossible to predict any of that months in advance. Third, we’d need a way to get home quickly in an emergency. Floating on the open waters would make cruising just about impossible. And last but not least, we’d have to be able to afford it. Or rather, is a cruise where we want to spend our money and do we want it bad enough to go through all this prep work? I have to be honest. My first reaction to reading about his upcoming cruise was one of envy and anger. I know he wasn’t gloating – just expressing his delight about his pending winter getaway. But seeing those words instantly brought to light (again) all the complexities and constraints in my life, and all the things I could likely never do. This is a trap I fall into from time to time even though I know that my “woe is me” feelings don’t do anybody any good. Yeah, there are some things I’ll never be able to do. But so what? Whatever level of freedom I’ve reach today, I can get to a higher level tomorrow. There are lots of things that are possible today that weren’t even a few years ago. For my friend, going on a cruise and leaving his stressful worklife behind may be his definition of freedom. 1. Being 10 years cancer-free (today, actually!). Learning of this horrendous diagnosis was so frightening back then. Being told I was “cured” 5 years later gave me a renewed freedom and a drive to help others and create Soaring Families. 2. Having a great caregiver team. None of us can carry the weight of the world on our own no matter how Herculean we think we are. Having reliable and caring people who can step in has unblocked so many things for me. 3. Not longing for things I can’t have. This is the freedom of not being caged by thoughts of all the things that aren’t possible (like a cruise). The list of things that is possible is a million times bigger. Longing for those is energizing. 4. Going 8 weeks without a seizure. Not me, but Ben, of course. The knots that wrap around my heart as I wait for the next one to occur are once again loosened. I have to just breathe during this time. That’s freedom. My life is a collection of time slices. Being on call 24-hours a day means I have to be ready to suspend my fun even when I don’t want to. So, the ability to pause, rewind and be ready when I am able to have fun is freedom. 6. The invention of internet friendly webcams. With an unpredictable life, I need to find some areas that I can control. The webcams we have in our home allow me to do just that. They’re non-intrusive – you don’t really know they’re there. They’re always on so they’re always ready when I need them. And they allow me to stay connected so I can relax, which seems like a contradiction. If I can’t find out what is happening at home when I need to, I can’t relax. Really, how did people survive before the internet? 7. Dreaming about an even freer life. Actually having the energy to do that and believing in that is a freedom no one can take away. Our next level of freedom is building a new house, a bigger house, which is counter to most families who downsize when they get older. This scenario still has Ben living with us (assuming he wants to) but he would have his own space, with his caregivers. This way they’re still in the same house but we both have our privacy. It’s kind of like being away but being right there, too. Just to have that as a possibility and talking about what that looks like is freedom for me. What’s the next level of freedom you see for you and your family? What are you doing today to help you get there? Share your thoughts on our FB page. Click here.